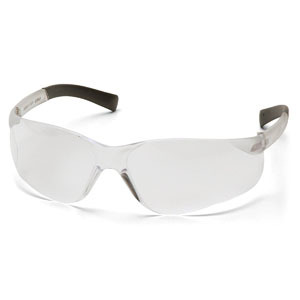 The best shooting glasses are essential for safety when you are handling a firearm. There are many reasons why this is true, and remember that it only takes one accident to lose your vision. Luckily, you have more options to choose from than ever before. There are styles that double as sunglasses and even ones that fit over prescription eyeglasses. Best of all, you don't have to spend a fortune. 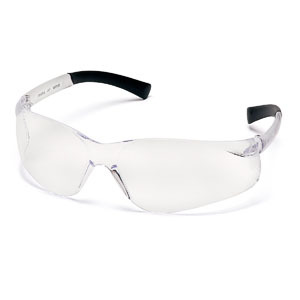 Many eye injuries resulting from firearm accidents could have easily been prevented by wearing shooting safety glasses. Most individuals who avoid wearing eye protection do it because of two concerns: comfort and style. 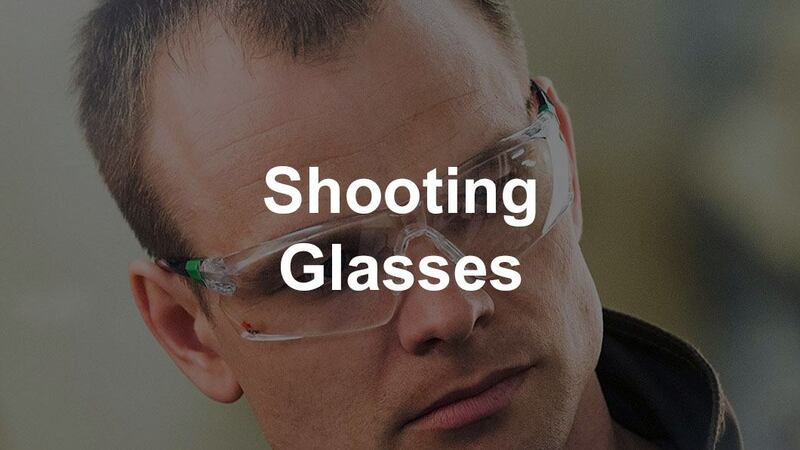 Shooting eye protection​ shouldn't be taken lightly. Make sure and get you a pair. That's why I went out and did all of the research (so that you don't have to) to find the top 10 options that will address both. Being safe has never looked or felt so good! Protecting your hearing with ear muffs is just as important. 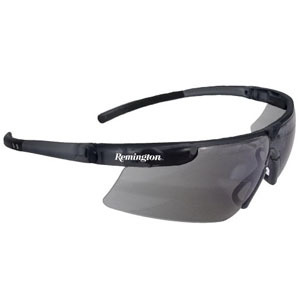 First up in our shooting glasses review is the Remington T-72. The style reminds me of my Oakleys but for a fraction of the price. They have a black frame and legs and come with smoke or blue polycarbonate lenses. 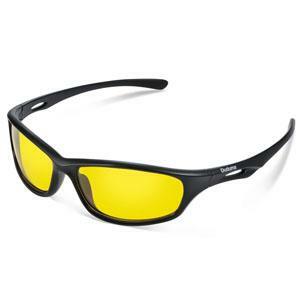 The shape of the lenses offers side-protection without being bulky. 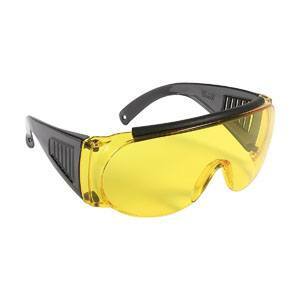 They have UV protection so you can rock these at the gun range or out in the field. The lenses do not distort your vision, do not fog, and are scratch resistant. For the price, these are some great gunners glasses. It is difficult to find a pair of glasses that fit over prescription eye glasses, but the Allen Company Over Prescription does exactly that. The oversized black legs wrap around and offer extensive side-protection without interfering with your earmuffs. 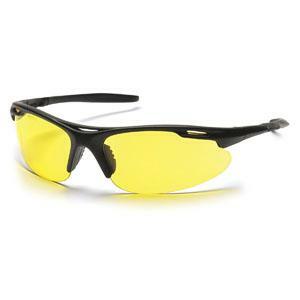 The non-polarized, yellow-tinted lenses help you see targets clearly when shooting at indoor ranges. Warning: The unique high-profile design allows for glasses to be worn underneath. If you do not wear glasses underneath, you will leave a gap between the glasses and your face where ejected (hot!) casings can get stuck. The sporty-looking Radians Revelation glasses are available in many lens options including a coveted “blue mirror” lens so people cannot see your eyes. The black arms are adjustable to ensure a great fit, so you focus your attention on shooting rather than repeatedly pushing these up on your face. With its stellar UV protection, these glasses might just become your favorite sunglasses. 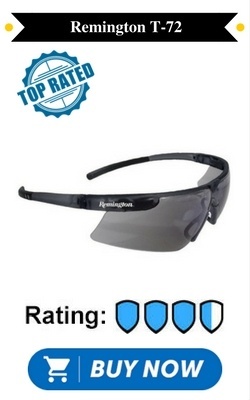 Users report very minor distortion at the edge of these non-polarized lenses. Keep sunscreen off the lenses and buy a hard case to extend the life of these glasses. Do not let the name fool you; these were not made to prevent tears while chopping onions! However, they were made to protect your eyes from debris without fogging up. The width of the nose piece is adjustable so the glasses stay where you need them to—on your face. Proper care extends the life of the scratch resistant coating on the lenses. The lenses were designed for maximum clarity and comfortable extended wear. NoCry stands behind their product and will replace these at no cost if you have any issues with your purchase. Different light conditions require different glasses. Clear Armor Safety comes as a two pack (one black and one clear) so you only have to make one purchase to take care of all your glasses needs. UV protection? Check. Removable cord for a secure hold? Check. Pouch for easy storage and transport? Check. The Pyramex Mini Ztek has a smaller frame than the other options on our list and was made especially for kids (and adults with really small faces). 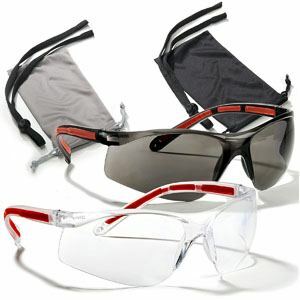 They provide great frontal impact protection and full peripheral vision. They are light weight, slim, and will fit easily under ear muffs without any discomfort. There is no denying that these glasses are designed really well. The lenses do not fog so your little ones can see clearer than ever while being protected. These are truly the best option out there for smaller faces. Users like the versatility and comfort of the Pyramex Avante. These sleek glasses come in a variety of frame (black, silver, gun metal) and lens (clear, amber, mirrored, etc.) combinations. You know you will find one that suits your needs. 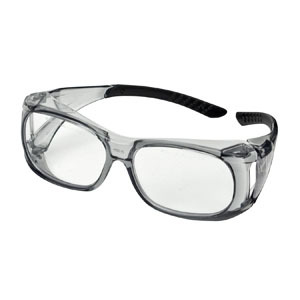 They have especially comfortable nose pieces to keep the glasses on your face during activity. The scratch resistant lenses help with glare from sun or artificial light and do not distort images. These glasses do not disappoint, look pretty good, and are easy on the wallet too. You can buy the Duduma Polarized Sunglasses in a half-silver or full-black frames. Both configurations provide comfortable all-day wear. They will even fit larger heads! The shatter-proof lenses do not reduce nighttime glare. Bonus feature: These will stay fog-free and on your face even during the muggiest, sweatiest days. The adjustable nose pad ensures a great fit. 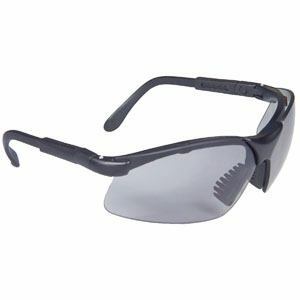 With its versatile contemporary styling and UV protection, you will find yourself wearing these just to run errands. Duduma has a thirty-day satisfaction guarantee as well as a lifetime warranty on the frame and lenses! Weighing in at 0.046 pounds, the Pyramex Ztek glasses are the full-size version of the Pyramex Mini Ztek model featured above. They are sold in many frame and lens colors (including mirrored). The scratch-resistant polycarbonate lenses are fog-free and provide UV protection. The design is truly as shooter-friendly as it gets, fitting comfortably under ear muffs and offering side-protection without obstructing your peripheral vision. It is no wonder these are so popular. Users have had success wearing them for contact sports also. At this price, they are practically disposable. 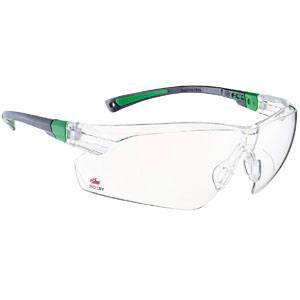 The Champion Over-Spec Ballistic glasses were made to wear over prescription eyeglasses. These non-adjustable plastic glasses do not fog and are designed not to slip off your face as you sweat. Advertised to give wearers a crisp glare-free view, the quality lenses do not cause any distortion and come in clear or amber. We like their durable construction. Their wrap and shape are designed for optimal side-protection. Plus, these fit small and large faces comfortably. Purchase a case to extend the life of these attractively priced glasses.